So what happens when you revisit a book that once seemed to you the height of cool, daring, and originality? A book that seemed so hip and fun and wild and out there . . . and you gradually realize that what seemed so fresh and innovative back when you were nineteen now seems a little forced and gimmicky. 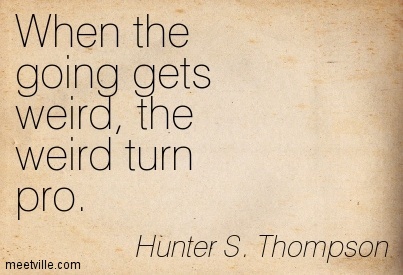 That’s what it is like reuniting with Hunter S. Thompson’s Fear and Loathing in Las Vegas (1971). Still a hoot, still fun to read, but not exactly the breakthrough piece of journalism I thought it was when I first encountered it back in the early Seventies. Sometimes it may be better to not reunite with some of these books from our past. Better to let our fond memories stay unsullied by the passage of years and experience and (dare I say it?) maturity. Because there’s a sophomoric excessiveness to the whole Fear and Loathing performance that begins to wear thin after a while. Reminds me a bit of those MTV “reality” shows like the Jackass franchise–where we see young people performing stupider and stupider stunts . . . wondering how long before some poor kid ends up in the emergency room, where the adults will valiantly try to save the young daredevil’s spleen. Maybe you have to be young and intrepid and foolhardy to truly appreciate that kind of reckless performance. Which, I have to admit, was a bit of a relief because I thought maybe I was just being an old fart and a fuddy-dud for not responding to Fear and Loathing with the unbridled enthusiasm and appreciation I once did. I know there are plenty of folks who still adore the book (it was made into a Johnny Depp film in 1998). But I’m not one of them. 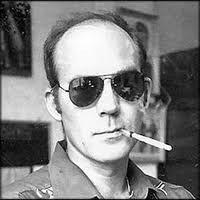 For my money, Hunter Thompson’s peak may have been reached in his very first book, Hell’s Angels (1966) where the balance between being a “journalist” and being a “participant” in the story achieves a wonderfully complicated and delicate (first time anyone has ever used that adjective in reference to Thompson, I’ll bet) balance. Where the balance between “gonzo” and “journalism” is a bit more evenly split. Yes, Thompson was part of that story too, but in Hell’s Angels our focus remains fixed on that strange and scary and fascinating motorcycle gang, not on Thompson, per se. When Thompson is stomped and severely beaten by the Angels near the end of the book, it doesn’t feel like a stunt, but as the price a journalist sometimes must pay for immersing himself so fully in a story. (Thompson actually lived and rode with the Angels for a year.) Thompson comes off as an intrepid, cool, and brave writer. But the success of that book seems to have led Thompson down the road of more participation and less journalism–which reaches its zenith (or nadir, depending on your point of view) in Fear and Loathing in Las Vegas. Now don’t get me wrong. There is plenty to like about Fear and Loathing in Las Vegas, plenty to admire, plenty to laugh at. The Ralph Steadman illustrations, by themselves, are worth the price of admission. The book is definitely worth reading. But . . . really . . . Fear and Loathing is a one-note kind of performance. And a one-joke kind of book. Here’s the one joke: In the course of a very substantial, two-part article in Rolling Stone, Thompson spends approximately 4% of the story actually writing about the two Las Vegas events he has been hired to report on: The annual Mint 400 desert motorcycle race, and the District Attorney’s Conference on Narcotics and Dangerous Drugs. The rest of the time is spent covering . . . himself. Thompson spends about two paragraphs trying to cover the Mint 400–which is so dusty that the race is impossible to observe. So instead we get a full report of Duke’s and Dr. Gonzo’s drug and alcohol antics. It was treacherous, stupid and demented in every way–but there was no avoiding the stench of twisted humor that hovered around the idea of a gonzo journalist in the grip of a potentially terminal drug episode being invited to cover the National District Attorney’s Conference on Narcotics and Dangerous Drugs. . . . It was dangerous lunacy, but it was also the kind of thing a real connoisseur of edge-work could make an argument for. Where, for instance, was the last place the Las Vegas police would look for a drug-addled fraud-fugitive who just ripped off a downtown hotel? When Thompson takes his eye off himself and actually does some real reporting, the results can be rewarding. There are some very funny moments, for instance, when Thompson chronicles how out of touch the square law enforcement attendees of the conference are about the realities of the drug culture they are desperately trying to understand. Here were more than a thousand top-level cops telling each other “we must come to terms with the drug culture,” but they had no idea where to start. They couldn’t even find the goddam thing. There were rumors in the hallways that maybe the Mafia was behind it. Or perhaps the Beatles. 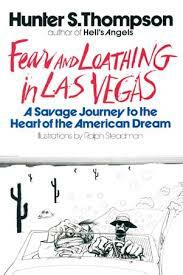 So yes, please go out and read (or re-read) Fear and Loathing in Las Vegas. It’s a strange, weirdly addictive little book (just a shade over 200 pages). 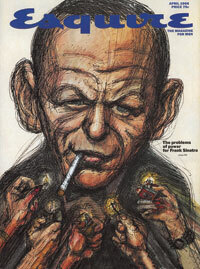 And while you’re at it, make sure to read Hell’s Angels–a better and, for my money, more enduring piece of journalism. 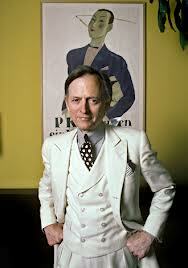 A funny thing happened as I’ve been reading and preparing to write about Tom Wolfe’s The Electric Kool-Aid Acid Test (1968) for my next Books That Mattered post. I was suddenly flooded with memories of the great works of journalism that were emerging–in a seeming avalanche–in the Sixties and Seventies when many of us Baby Boomers were hitting our formative years. We were living in the golden age of print journalism. We just didn’t know it. And that was just an early shining example of something marvelous that was beginning to sprout and take root in the mid-Sixties. For the next fifteen years or so–right up to the end of the Seventies–writers of all stripes were destined to push the boundaries of news writing and journalism. “Literature is news that stays news.” That’s been the rule-of-thumb for distinguishing between the ultimately disposable (however commendable and well-written) news of the day versus the lofty peaks of (big L) Literature. But something odd and unique happened to journalism in this time period: it aspired to be more than something ephemeral, disposable, with a strict sell-by date. Writers like Tom Wolfe, Hunter S. Thompson, Truman Capote, Joan Didion, Norman Mailer, and other chroniclers of their times were knocking on the doors of Literature. Some (like Thompson and his “Gonzo Journalism”) seemed intent on smashing the damn doors to pieces. And so the golden age of journalism came about. Of course, not all the practioners of the “New Journalism” (Tom Wolfe coined the term) were equally conscientious or skillful. But the top writers did so with a verve and passion and intensity that we’ve rarely seen since. Here, then, are the top books of journalism from that golden age. And these are not just books for those interested in Baby Boomer nostalgia: these are books that are well worth reading for anyone–no matter what age–who loves the written word, who loves a well-crafted scene, who loves books that manage to capture the tenor of their times. These books are alive, man. I’ll be writing more specifically about these books in upcoming posts, but for now would like to say a big Thank You to these splendid writers for their often brave, sometimes quirky, always thrilling explorations into the outer limits of print journalism. Up All Night with "The Heart is a Lonely Hunter"
The Poop on . . . "Jonathan Livingston Seagull"